This is where you’ll find information and resources that can make scouting more fun for both you and your son. If there is a resource you cannot find, please contact us. We’ll get you the info you need as soon as we can. You can also reference our Pack Leadership page for contacts regarding specific topics or events. 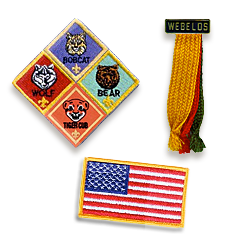 Below are forms related to scouting and events. • HEALTH FORM updated (fillable PDF). Click here for a Health Forms FAQ. TIP: To reference your child’s immunization records and speed up filling out the Health Form, please visit the Wisconsin Immunization Registry. For access to all BSA scouting forms, reference the Forms page at scouting.org. The BSA website at scouting.org has some excellent resources for parents. For almost 100 years, Scouting programs have instilled in youth the values found in the Scout Oath and Scout Law. Today, these values are just as relevant in helping youth grow to their full potential as they were in 1910. Scouting helps youth develop academic skills, self-confidence, ethics, leadership skills, and citizenship skills that influence their adult lives. There are several pieces of scouting literature available on the Resources page at scouting.org. You can check out those publications related to wearing the correct uniform for various occasions, age-appropriate guidelines for scouting activities, scouting safely, and more. 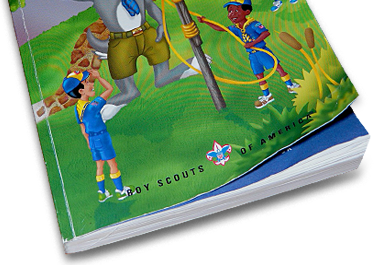 Among the resources are the scout handbooks. Below are links to online versions of the scout handbook for each rank. If your son forgets his handbook for a meeting or event, just jump on the web and view the notes from your scout handbook here! There are several handy resources on this page, but also reference the Pack 155 Event calendar, reference notes about your son’s uniform, visit your Den page (feel free to submit photos or info about your den’s activities! ), and follow Pack 155 on Facebook, Twitter, as well as our Flickr photo stream. Click here for more info about joining Pack 155. For a general overview of Scouting, the BSA website has several resources available for new parents. On their Welcome page, you’ll find an FAQ along with resources for parents, scouts, leaders, and more. The best part of scouting is boys have fun and learn things by doing things. There are many ways Scouts can do things… among the activities are den and pack meetings, outings or field trips, the Pinewood Derby, Father-Son cake bake, the Blue & Gold banquet, camping, and service projects. You can learn more about these actives on the Activities & Events page at scouting.org.